Delivering a medical risk management education program is challenging. You need to design and deliver an educational program with a long-term goal of reducing errors and mistakes in practice that lead to unwanted claims and liabilities. Once designed, those programs must be delivered quickly with a high degree of physician engagement. You win only if your policyholder wins and the key is that learning must be an engaging, intuitive and modular experience. An enterprise learning management system (LMS) helps to effectively deliver and measure outcomes of a medical risk management program. 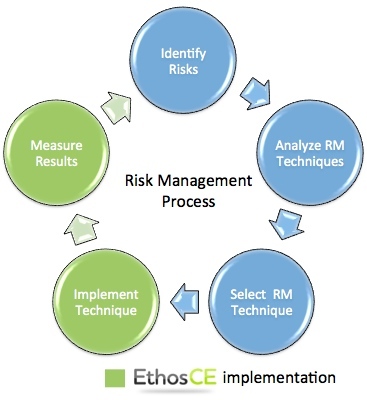 EthosCE is perfect for delivering risk management and patient safety education programs to your audience. It offers a number of features specifically designed for implementing malpractice risk management strategies blended with learning practices from industry and scientific research. All this comes with an inspiring user experience for your policyholders — the physicians. EthosCE supports delivery of medical risk management education either in the form of e-learning courses or as live events, symposiums, and conferences. EthosCE has capabilities to integrate with live meeting vendors such as Cvent and web conferencing tools such as Webex. According to sources, emphasis on risk management initiatives and physician education programs can act positive factors in influencing A.M. Best’s financial strength rankings for insurance companies. EthosCE provides the industry’s most comprehensive set of features for delivering risk management education specifically aimed at greater physician engagement and participation. Do you already have e-learning programs that have been proven to be successful in improving patient care and reduce liability risk? No problem. 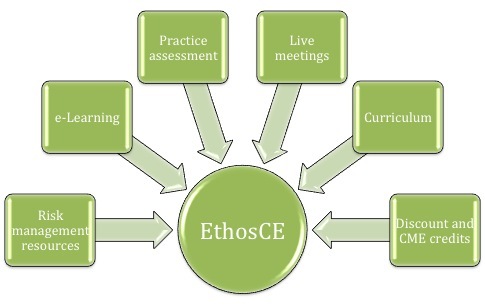 EthosCE can integrate with popular third-party e-learning courses and provide a seamless user experience to physicians. Deliver your trusted courses on EthosCE and get the best of both worlds! 200 percent increase in their learner participation rates. 46% reduction in technical support calls. If learners are successful, you’ll have an immediate return on your investment, and more time to focus on education and less on administering an LMS. Every interaction your customers have with your education program is an opportunity to build brand loyalty. Don’t pass it up by using a bland-looking shared system for content delivery. EthosCE allows you to make the most of your customers’ experience. Build brand awareness with a custom web application that looks just like your website. EthosCE’s ease of use reflects your organization in a positive light. Learners report being “delighted” with the system. Single-sign-on makes it easier for your learners. By integrating EthosCE with your customer database, their accounts will be created automatically. By working with our customers, we have designed EthosCE as a learning management system designed for risk management education programs. The feature set allows for you to easily deliver advanced curriculums of your own design. Create a custom risk management curriculum for your learners. Automate the learners’ dashboard display based on their status in your curriculum. Deliver a non-accredited curriculum or include accredited programs as well. EthosCE offers unlimited credit types. Content management features include built-in support for risk management resources such as FAQs, checklists, tips sheets and more. Support for online or live programs including practice assessments. 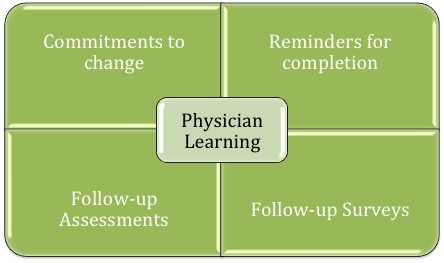 To effectively combat liability risk, it is important to measure the effectiveness of physician learning and its impact on physician behavior. EthosCE has rich, interactive reporting tools to track physician participation in courses and slice-and-dice data on various parameters. According to an article published by a popular healthcare provider, reinforcement strategies act as interventions that can be used to improve physician learning effectiveness for behavioral change. EthosCE has built-in features to deliver reminders, commitment-to-change instruments and follow-ups for surveys and assessments ― all of which can positively influence physician learning. Getting the data you need to measure your program’s efficacy is critical. We understand that, and EthosCE offers options. Advanced API for getting all your data instantly. Course and global dashboards for an instant view of a program’s success or failure. Learning-object level reports for insights into each part of a course’s content or assessment. Follow-up assessments and surveys for longitudinal data collection. EthosCE clients in the insurance industry include ISMIE Mutual Insurance Company and OptumHealth Education.